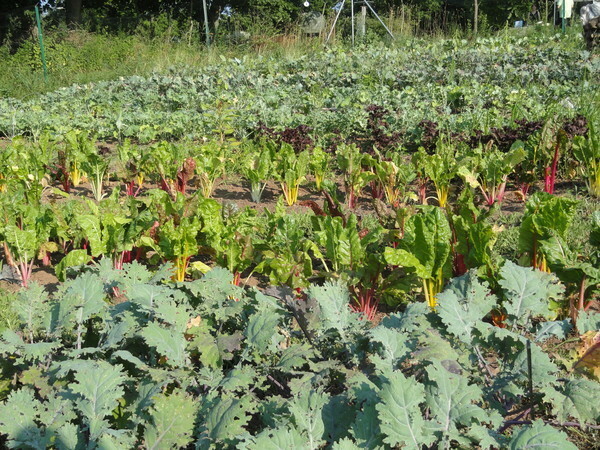 The Farm Manager manages and implements all phases of production, maintenance, harvest and distribution of vegetables to CSA members and local food charities. The farmer reports to the board of directors regarding budget and output, and is autonomous with respect to crop production. The farmer is responsible for maintenance and upkeep of machinery, tools and structures on the farm. 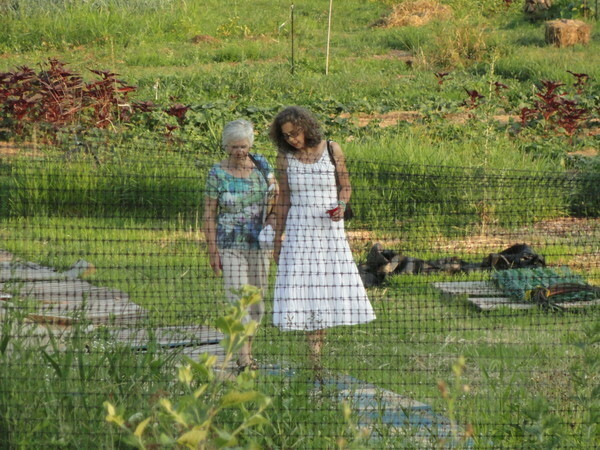 The farmer communicates via email weekly with CSA members and provides a welcoming educational experience for CSA members to contribute to farm work including harvest and distribution. 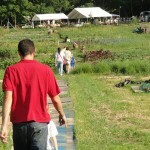 Farmer will provide guidance and education to CSA members when they are working at the farm. This position is full time from March – November (nine months). 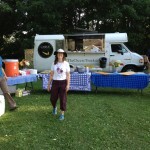 – Commitment to maintaining organic, sustainable farming standards. 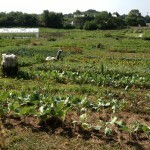 – 3-5 years organic farming experience including farm management and CSA program. 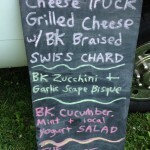 The Farm Manager will work for FOBK as an independent contractor. Workers Compensation will be provided. Compensation is $24,000-26,000 with no employee benefits, and no taxes will be withheld. Friends of Boulder Knoll (FOBK) is a community based non-profit corporation founded in 2006 on a belief in sustainable agriculture and sustainable communities. We work to involve local people of all ages, abilities, and experience levels in working on, understanding, enjoying and benefiting from the land and natural resources. A Board of Directors made up of individuals who share these beliefs guides the corporation and provides significant operational support. 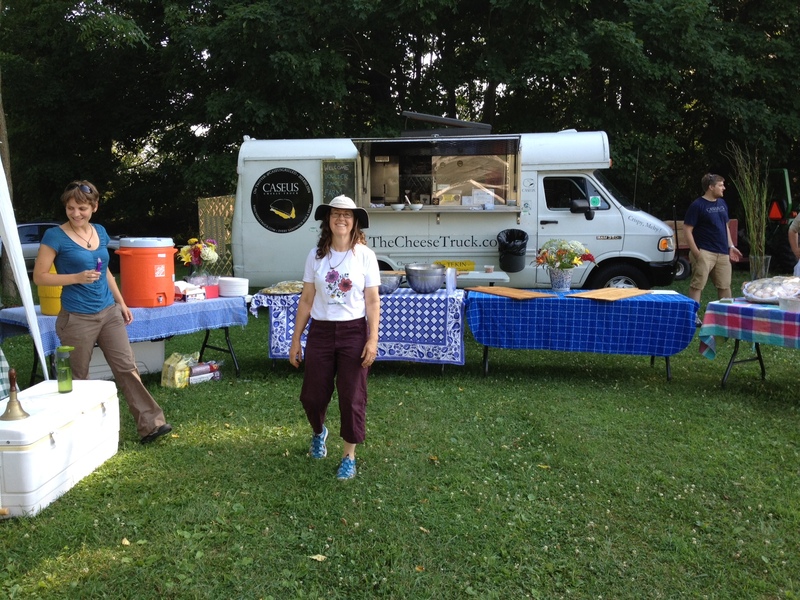 We operate a small scale, environmentally sustainable farm, Boulder Knoll Community Farm (BKCF) in Cheshire, CT which provides healthy, local produce to community supported agriculture shareholders as well as our neighbors in need. Please send cover letter, resume and 3 references to dgroberg@friendsofboulderknoll.com. 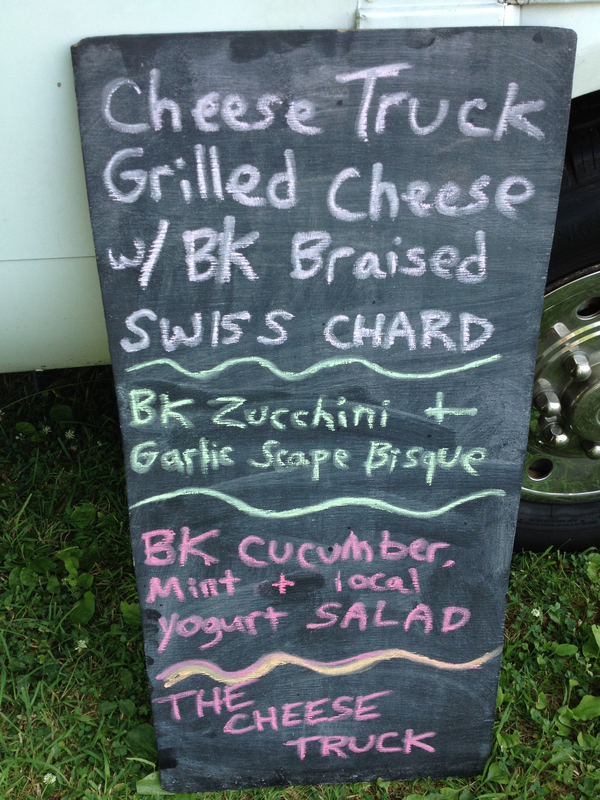 Boulder Knoll Community Farm (BKCF) is a small-scale, environmentally sustainable farm in Cheshire, CT that provides healthy, local vegetables and fruit to 80 shareholders, CT Food Bank, local soup kitchens and a New Haven restaurant. Education is a central component and an essential element in the vision of the Friends of Boulder Knoll (FOBK), the farm’s sponsoring organization. Our goal is to emphasize essential links between people, plants, and the earth, to develop interdisciplinary learning, and to promote environmental responsibility. The Environmental Educator (EE) will be an energetic, well-organized environmentalist with experience in farming and education who will provide a variety of educational opportunities, at the farm and off-site when appropriate. The EE will support the mission of the farm by working with CSA members, volunteers, and the public to enhance educational opportunities at all levels. * Design, publicize and implement a variety of educational programs for children, youth and adults as either the presenter or facilitator. Lessons may cover topics such as sustainable agriculture, food preparation, and wildlife habitat. * Conduct outreach to the community beyond BKCF CSA members. Manage existing relationships and expand educational opportunities to more groups. The EE will manage educational programs both on- and off-farm to reach the greatest population. * Create and maintain an interactive educational space, as well as prepare and purchase needed educational materials (budget provided). 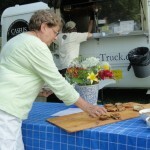 Provide educational opportunities at farm functions, including fundraisers and special events, and at weekly share-outs. Work with FOBK board to publicize upcoming educational opportunities via email, social media, and traditional media channels. The EE will be responsible to and will communicate periodically with the FOBK board regarding activities and success of the programs and will submit a written annual report on the educational program. The farmer must approve the timing and content of workshops. The ideal candidate for this position will be able to demonstrate experience and basic theoretical knowledge in organic and sustainable farming. This is a position for someone seriously interested in sustainable farming, food, and community education. We offer the candidate the opportunity to be integrally involved in a small organic farming operation and in farm-based education. Well organized, flexible, with an ability to take initiative and adapt to new situations. In general the EE is expected to work an average of 10 -12 hours/week. Seasonal, 40 weeks, March through November. Some work is required on evenings and weekends, depending on timing of educational programs and distribution. Attendance at occasional FOBK board meetings will be expected with prior notice. The EE will work for the Friends of Boulder Knoll as an independent contractor. The position offers no benefits, and no taxes will be withheld. Compensation of $6,000-8,000 depending on experience, hours worked and documented. The position requires a full season commitment. Send any questions and inquiries to (info@friendsofboulderknoll.com). 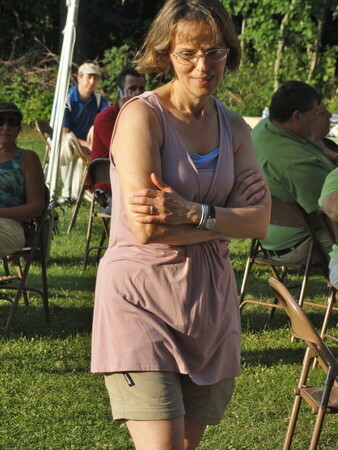 The Town of Cheshire pledges to do more to maintain its open space properties! 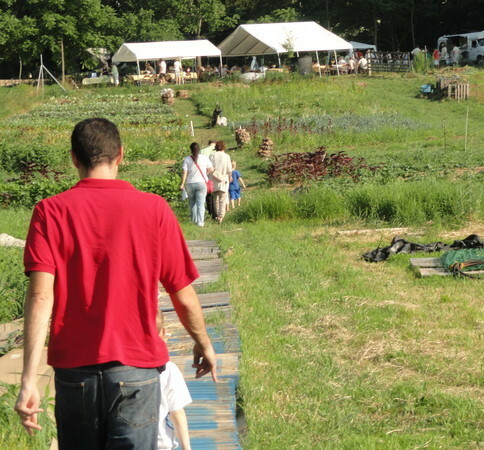 Boulder Knoll Community Farm(BKCF) is a small-scale, environmentally sustainable farm in Cheshire, CT that provides healthy, local vegetables and fruit to 65 shareholders, local soup kitchens, and a New Haven restaurant. 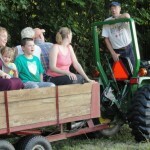 Education is a central component and an essential element in the vision of the Friends of Boulder Knoll (FOBK), the farm’s sponsoring organization. Our goal is to emphasize essential links between people, plants, and the earth, to develop interdisciplinary learning, and to promote environmental responsibility. The Environmental Educator(EE)/Harvest Manager (HM) will be anenergetic, well-organized environmentalist with experience in farming and education who will provide a variety of educational opportunities, at the farm and off-site when appropriate. The EE/HM will assist the farmer in the overall operation of the farm including managing all aspects of the weekly CSA share distribution. 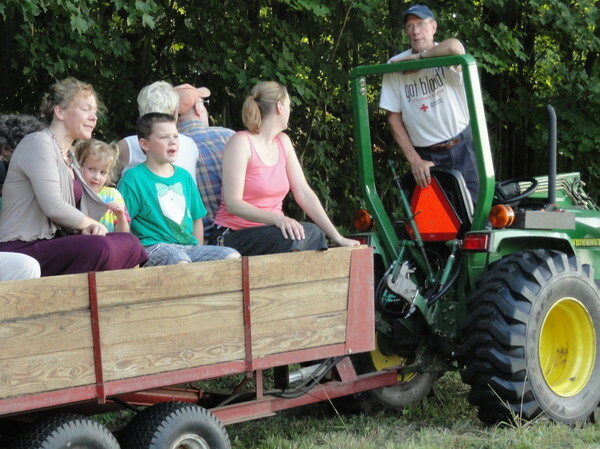 The EE/HM will work with the farmer to develop programs that provide hands-on experiences for children, youth and adults, including people with special needs. Programs will enable people to understand where their food comes from, what it takes to get it there and the importance of eating healthy, whole foods. The EE /HM will support the mission of the farm by providing assistance in the farm operation and by working with CSA members, and volunteers to enhance educational opportunities at all levels. The EE/HM will design, publicize and implement a variety of educational programs for children, youth and adults. Lessons may cover topics ranging from sustainable agriculture, food preparation, to wildlife habitat. Programming may include, but is not limited to, fall and spring school programs, field trips, community groups (youth and adult), community events, adult classes, and summer programs on the farm. The EE/ HM will create an educational space, prepare / and purchase needed educational materials (budget provided). The farmer must approve the content and timing of educational programming. The EE/ HM will assume responsibility for harvest and share distribution. 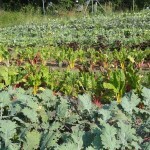 Responsibilities will include communicating with share holders, outside suppliers, member work coordinators, and harvesters to assure that each CSA member is getting a share out that is of excellent product quality and quantity and has a positive pick- up experience. The EE/HM will model good harvesting, prep, washing, display , clean- up techniques. He/she will respond to CSA sharers’ needs in terms of pick-up times and changes. The EE/HM will work collaboratively with the farmer and will report to the FOBK Board. The EE/HM will communicate periodically with the board regarding activities and success of the programs and will submit a written annual report on the educational program. 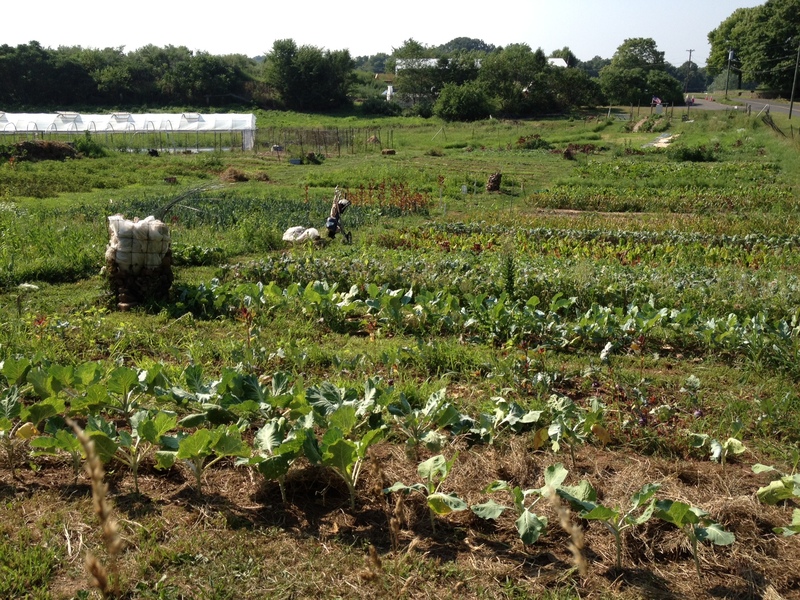 The ideal candidate for this position will be able to demonstrate experience and basic theoretical knowledge in organic and sustainable farming, and ideally will have worked an entire season on a CSA farm or garden project. This is a position for someone seriously interested in sustainable farming, food, and community education. We offer the opportunity to be integrally involved in a small organic farming operation and in farm education. There is the potential for a successful individual to assume the farm manager position in 2014. June – October – Assume responsibility for harvest and share distribution on Saturday. Some work is required on evenings and weekends, depending on timing of educational programs and harvest/ share out. Attendance at occasional FOBK board meetings will be expected with prior notice. The EE/HM will work for the Friends of Boulder Knoll as an independent contractor. Worker’s compensation will be provided. The position offers no benefits, and no taxes will be withheld. Salary range: $12,000- $15,000 depending on experience, hours worked and documented. The position requires a full season commitment. 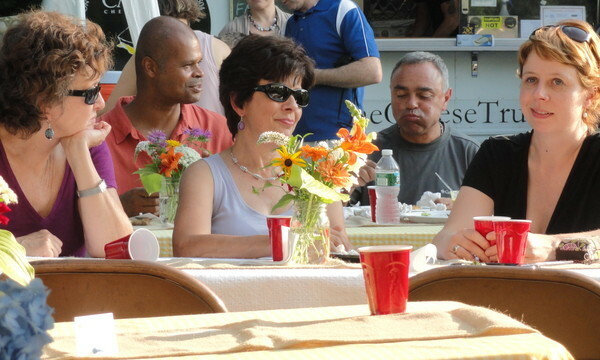 What: Bring a dish to share (to feed about 8 people) and a good appetite. Main dishes, side dishes, salads, desserts are welcome. ( fyi: We don’t have any way to heat them up.) Beer and wine too! We’re also hosting a stuff give-away. If you have a decent item (or 2 or 3!) that you’d like to re-home please bring it to the celebration. Anyone is welcome to bring items or adopt items. No money, no hassle, just a way of finding a good home for something that you don’t need anymore. You just need to take your item back if no one claims it. Put your name on the item somewhere so interested people can talk to you. If you have perennial plant divisions to give away, please bring those too. Our short and sweet annual meeting includes a short report about the CSA and the education work at the farm, and then the members confirm the selection of new Board members and officers. Where: Bob Giddings’ barn at the top of the hill overlooking the farm. Park at the farm or in Bob’s yard. Look for the signs. In this workshop we’ll discuss the role of birds in the environment and then assemble one birdhouse per child. The houses will be kits that will have previously been fabricated by our own Environmental Educator. Due to the nature of this workshop, we ask that you register for this event in advance so that the proper number of assemblies can be fabricated. Walk in will only witness the event. Free event but please RSVP! 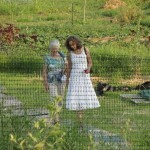 Building on Organic Vegetable Gardening for Beginners this workshop goes beyond the basics of organic gardening. We’ll discuss lead in our soils, taking soil samples, succession planting, companion planting, crop rotation, cover crops, etc. Free event but please RSVP! Thank you for the tremendous evening! 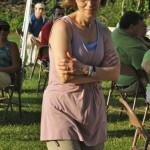 Check out the photos below, from Lauren, Deb, Meredith, Jeff, and Cheshire Patch. 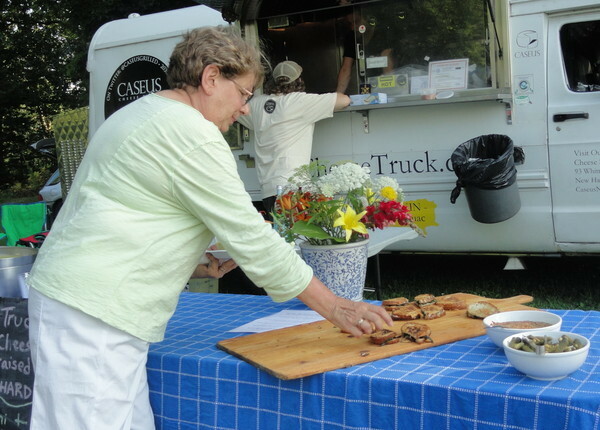 Thank you to the New Haven Register for your story on our upcoming Casual Evening on the Farm!